It is a monarch's task to lead and protect their people, and few take this responsibility as seriously as Queen Rysana Vokun. Since ascending to the throne almost twenty years ago, she has fought a war against violent beasts of stone beneath her people's feet and without their knowledge, holding at bay the aggressors who seek only chaotic destruction. But while the gargoyles' predictable attack is usually held off with ease, their recently increasing aggression has given Laceria's five archguardians the push to bring the matter to a swift and final end. Queen Rysana, only the latest in the 400 year old line of archguardians, along with the help of three others set out to do just that, but when a storm leads them to discover the gargoyles' true intentions, their plan is tipped upside down. As a war of men is waged in her name and a battle between gods overshadows them all, Rysana must descend into the maze of tunnels and caverns that lie beneath Laceria's entirety to save the creatures she sought to destroy if she is to protect her people. 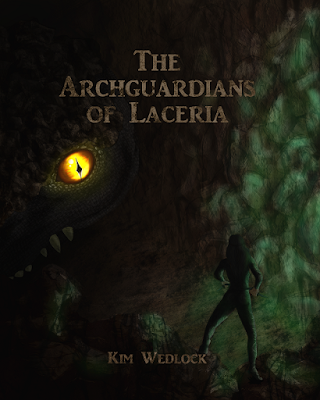 The Archguardians of Laceria is a fantasy suitable for readers of 15 up; teens, YA and adults. It features a strong female lead, with magic, royalty, romance, gods and secrets abound, with a couple of dwarves and gargoyles thrown in for good measure. The book is a complete edition rather than being broken down into multiple installments, so it is quite long, but it makes for a deep read, a perfect book for the summer holidays. You can read Kindle books without a Kindle device using Amazon's free Kindle app. It can be downloaded onto smart phones, tablets, laptops and PCs, and is supported by android, apple, google play and windows.